Hello, all! The Tarot card for today is the Hanged Man. Maybe I sound like a broken record but I have to say it again: Astrologically, it’s eclipse season, so this is a time of change, transformation, twists, and turns in our lives. These changes could be minor but I’m guessing that most people are feeling these changes quite strongly. 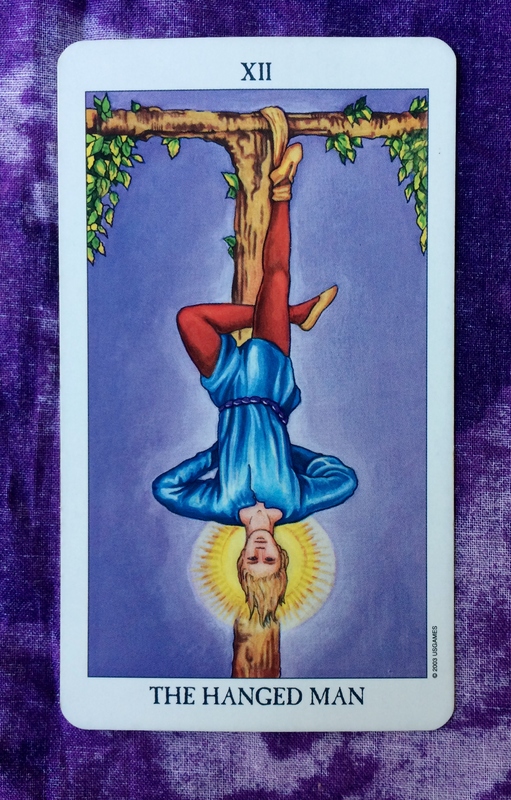 The Hanged Man is reminding us not to move too quickly in reaction to these changes. Take the time to soak it all in. 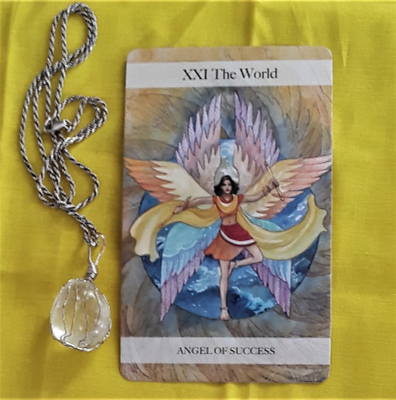 If this is a stressful time for you , try to look at your situation differently. Let go of how you think things should be and consider how the present moment is more positive than you think.